Compliance Management – With changing laws & regulations, there was an operational need to keep the systems up to date. Vendor Management – Initially, when the offices were small, their payroll processing was done either in-house or through local tax consultancy firms, who used to initially advise them in setting up the operations. This resulted in multiple vendors for different countries, bringing in complexities of managing them and ensuring their services comply with country rules and regulation. The evolving industrial transformation and risks led to the advent of global vendors offering multi-country payrolls, which eventually resulted in risk mitigation. Re-Organization – Organizations started leveraging economies of scale by combining common functions across the globe into service centers and creating centers of excellence. One of the functions getting combined was payroll processing, thus creating the need for a multi-country payroll platform. Applying Porter Five Forces framework, aspects that need a thorough thought process of organizational think tanks are as follows. The threat of new entrants is low to moderate considering the initial capital investment to build the infrastructure, to process high volumes of transactions effectively and efficiently. New entrants need to increase their brand value to effectively compete in the market. They need to have a thorough understanding of statutory compliances for each geography. Volume and scale is required to justify sustained investment in developing new country payrolls. They need to build trust in the system for handling payrolls, which has wide ramifications in organizations with respect to employee satisfaction. Product should be up-to-date in compliance with laws & regulations. Outsourced payroll service, which manually processes payments may be substituted with an automated payroll service. There is a probability of deploying in-house HR operations and advisory team instead of outsourcing payroll services. The platform can be replaced by large BPO/ITES companies having multi-country operations offering payroll processing services. Tax consultancy firms are leveraging their consultancy arms to further build scale in this area and penetrate the market. 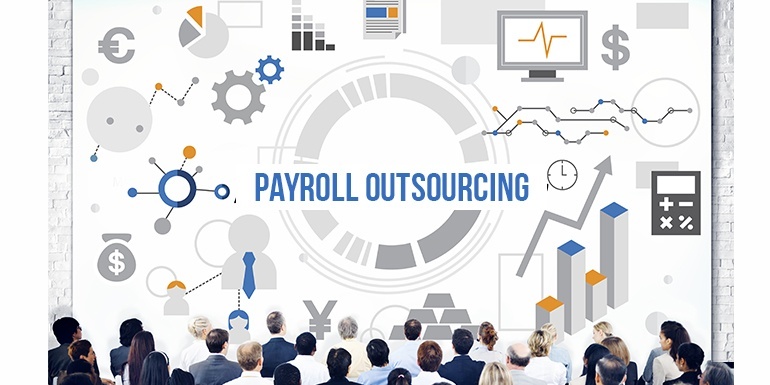 All these factors put together pose great threat for the payroll outsourcing service providers. A buyer’s bargaining power depends on its employee strength. Negotiating power of the buyers is high since there is large supply of global vendors in the market. The buyer can choose from a plethora of products that fits the budget and service needs. The power is even more when the product doesn’t offer much value addition and differentiation. Once we take the bargaining power of buyers into account, we must also realize that suppliers are also in a strong position to bargain. Switching costs for customers is high. Moving the existing employee base to a new system will require training and change management. 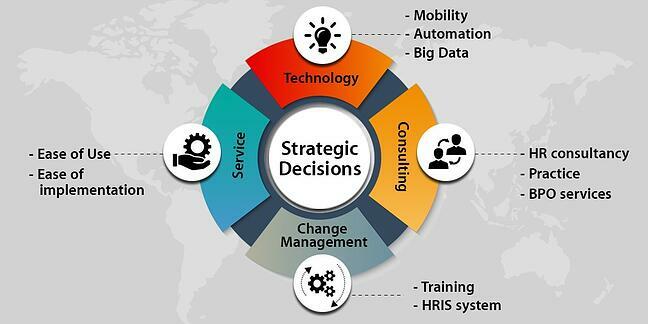 One must also consider the scope of change management that is possible from the management side. Suppliers who have the ability to integrate with other HRMS systems have an edge over others. More configurable their system is, more is the bargaining power. While offering all this, the system must be compliant to the laws and regulations. Having said that, building a highly flexible product offering unified platform with multiple features like TnA, C&B, Core HR etc., is difficult to replicate. This very aspect adds in the favor of payroll outsourcing firms. Once a customer has subscribed to a particular product or service, there is a very low exit barrier. In this regard, the rivalry among existing forces gets high. Additionally, integrated offerings consisting of platform plus niche payroll services reduce the risk of substitution for some players. On top of that, customer loyalty is high as long as the statutory compliance is sustained, but reduces considerably in-case there are misses because it has a direct bearing on employee satisfaction. Players have increased their competitive advantage by making the implementation easier and faster, to reduce overlap and switching costs. 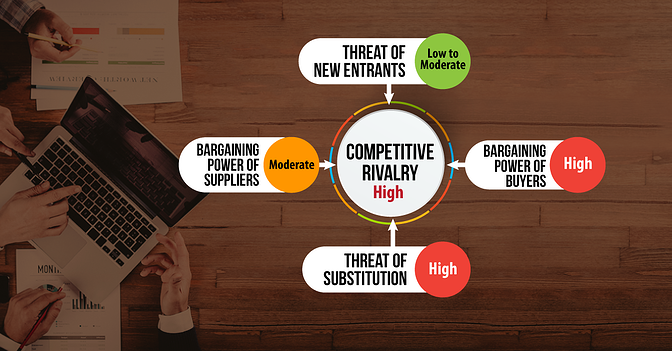 This has resulted in high rivalry because whoever enters into a contract is looking at multi-year confirmed revenue stream with limited effort required thereafter for maintenance. For the multi-country payroll providers the order might start with a few countries, but the initial success can generate more business in other countries and regions from the same customer. This leads to cut-throat competition. Investment in disruptive technology – Even though threat of new entrants is low to moderate, organizations have multiple options as replacement. BPO/ITES organizations have become an alternate to service centers. The demand for multi-country payroll has increased in the recent past as buyers seek further cost reduction, thus transferring the entire liability to one major global vendor becoming a preferred option. 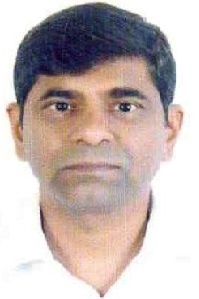 Integrating Product and Services – BPO services offering play a critical role to reduce the threat of substitutes. However, strategy should be developed on a regional basis rather than global basis to get the project approval and ensure quick wins in implementing the project successfully. This will increase customer loyalty and help in keeping the stakeholders onboard. Vendors offering a combination of platform and services using accessibility, scalability, agnostic hosting capability, and hassle-free processing with regards to statutory compliance would be clear leaders. Another important aspect is scaling up services in different parts of the world to cover local language support. Minimum Viable Product – Offering a standard implementation program and pre-configured platforms in order to reduce the cost of implementation, making payroll outsourcing cost effective for much smaller organizations would be another imperative.